Before you begin the application process please have a scan/picture of your your PATH certificate (if you are PATH certified), CPR/First Aid certificate, and of your driver’s license or other photo ID ready to upload with this application. 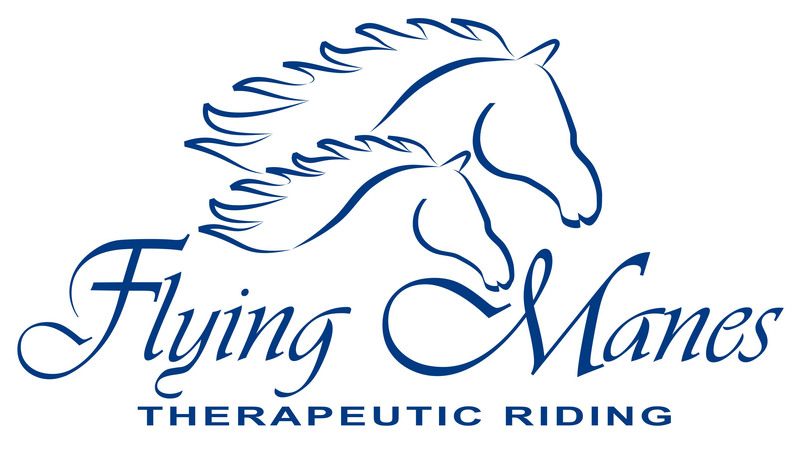 At Flying Manes Therapeutic Riding, Inc., we place great importance on protecting the confidential information of our clients, our staff, and our volunteers. “Confidential Information” includes, but is not limited to, personally identifiable information such as surnames, telephone numbers, addresses, e-mails, etc., as well as the non-public business records of Flying Manes Therapeutic Riding, Inc. In particular, medical information about clients, and information about their disabilities or special needs, must be protected as Confidential Information. Staff shall never disclose confidential Information to anyone other than Flying Manes Therapeutic Riding staff. I have read and understand Flying Manes Therapeutic Riding, Inc. Confidentiality Policy and agree to abide by same. I acknowledge the risks and potential for risks of horseback riding, related equine activities, and working with horses, including grievous bodily harm. However, I feel that the possible benefits to myself are greater than the risks assumed. I hereby, intending to be legally bound for myself, my heirs and assigns, executors or administrators, waive and release forever all claims against Flying Manes Therapeutic Riding Inc., its Board of Directors, Instructors, Therapists, Aides, Volunteers, and/or Employees for any and all injuries, losses and/or costs I may sustain while participating as a Flying Manes staff member from causes including, but not limited to, the negligence of these related parties or any acts of third parties. The undersigned acknowledges that he/she has read this release form in its entirety; that he/she understands the terms of this release and has signed this release voluntarily and with full knowledge of the effects thereof. 1) Flying Manes Therapeutic Riding, Inc. may use and reproduce any and all photographs and any other audiovisual materials taken of me for promotional printed material, educational activities, exhibitions, or for any other use for the benefit of the program; 2) I release Flying Manes Therapeutic Riding, Inc., its employees, and any outside third parties from all liabilities or claims that I might assert in connection with the above-described activities; and 3) I waive any right to inspect, approve, or receive compensation for any materials or communications, including photographs, videos, DVDs, website images, or written materials, incorporating photos/images of me. In the event emergency medical aid/treatment is required due to illness or injury while being on the property of the host facility (Riverdale Stables at 6351 Broadway, New York, NY 10471), I authorize Flying Manes Therapeutic Riding, Inc. to: 1. Secure and retain medical treatment and transportation, if needed. 2. Release records upon request to the authorized individual or agency involved in the medical emergency treatment. understand that Flying Manes Therapeutic Riding, Inc. may perform background checks on all staff, and I authorize Flying Manes Therapeutic Riding, Inc. to receive information from any law enforcement agency, including police departments and sheriff’s departments, of this state or any other state or federal government, to the extent permitted by state and federal law, pertaining to any convictions I may have had for violations of state or federal criminal laws, including but not limited to convictions for crimes committed upon children or animals. I understand that such access is for the purpose of considering my application for a staff position, and that I expressly DO NOT authorize Flying Manes Therapeutic Riding, Inc., its directors, officers, employees, or other volunteers to disseminate this information in any way to any other individual, group, agency, organization, or corporation. The information on my application will be verified, and I give permission to make inquiry of others concerning my suitability to be a staff member at Flying Manes. PATH Intl.’s Code of Ethics sets forth ethical principles for all PATH Intl. members which includes individuals and centers and is binding on all staff. Centers are obligated to insure that all staff, professionals, and volunteers comply with this code. While each of the following codes will apply to all members, the applicability of each code may be determined by the role of the member and the setting. The practice and preservation of the highest standards of ethical principles and integrity are vital for the responsible implementation of obligations, activities and services provided by PATH Intl. members and centers. All members and centers are responsible for maintaining and promoting these ethical practices. The PATH Intl. Code of Ethics is intended to be used as a guide for promoting and maintaining the highest standards of ethical practice, personal behavior and professional integrity. The guidelines expressed in the code are not to be considered allinclusive of situations that could evolve under a specific principle, nor is the failure to specify any particular responsibility or practice a denial of the existence of such responsibilities or practices. The guidelines are specific statements of minimally acceptable conduct or of prohibitions applicable to all members and centers. Principle 1: Every staff member respects the rights, dignity and well-being of all individuals (human and equine) and promotes well-being for all involved. Principle 2: Every staff member accepts responsibility for the exercise of sound judgment and professional competence. Principle 3: Every staff member shall respect the integrity and well-being of program equines and animals whether owned, leased or borrowed. Principle 4: Every staff member shall be truthful and fair in representing him or herself and other members or centers. Principle 5: Every staff member shall seek to expand his/her knowledge base related to the field of equine-assisted activities and therapies. Principle 6: Every staff member shall abide by PATH Intl. standards and guidelines and all state, local and federal laws. Principle 7: Every staff member supports PATH Intl. in its efforts to protect participants, equines, the public and the profession from unethical, incompetent or illegal practice. In recognition of the responsibility inherent in the delivery of services provided by equine-assisted activities and therapies, I subscribe to the above principles to the extent permitted by law. I certify that the information within this application is complete and accurate. I understand that making false or fraudulent statements within this application will result in disqualification to become a member of the staff. I agree to abide by the rules and regulations of the program. Should any information change at any point, I will notify the executive director. I understand that staff assignments are made based on program needs and staff experience and availability. I understand that because of the nature of the services provided, Flying Manes reserves the right to make the final determination as to the appropriateness of individual staff for the program.